Disclosure: I received complimentary admission to the Biggest Baby Shower Ever; all opinions expressed are my own. We're closing in on a month of living in Portsmouth (it flew by!) and now that I look back on it I'm amazed I was able to squeeze in a couple events in the first few days of living here. Thankfully they were on the same night and one of those was the Big City Moms Biggest Baby Shower Ever. 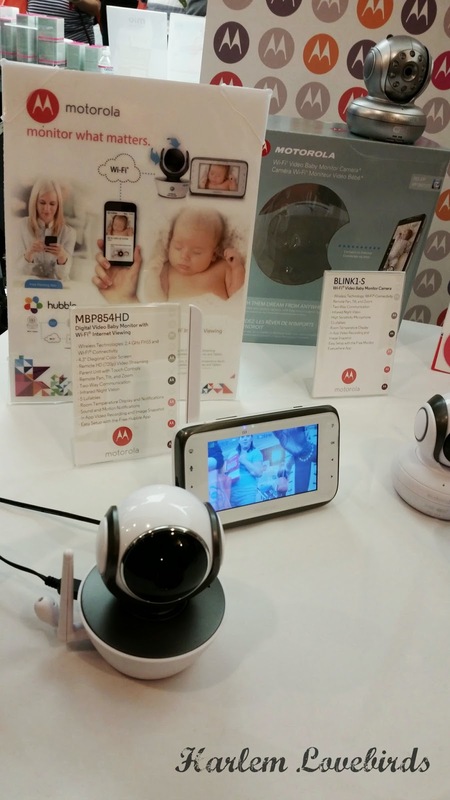 I know most people think back to the old school Motorola phones when they hear "Motorola," but did you know they make baby monitors too? We have Nia's old baby monitor that's sound-only, but I was impressed to learn all the latest developments including dual mode viewing via hubble which allows remote viewing to your smart phone. This will launch the beginning of 2015 and in the interim look for my review of the MPBP27T, a digital video monitor with an integrated touchless thermometer that works on both baby and liquids. Amazing! 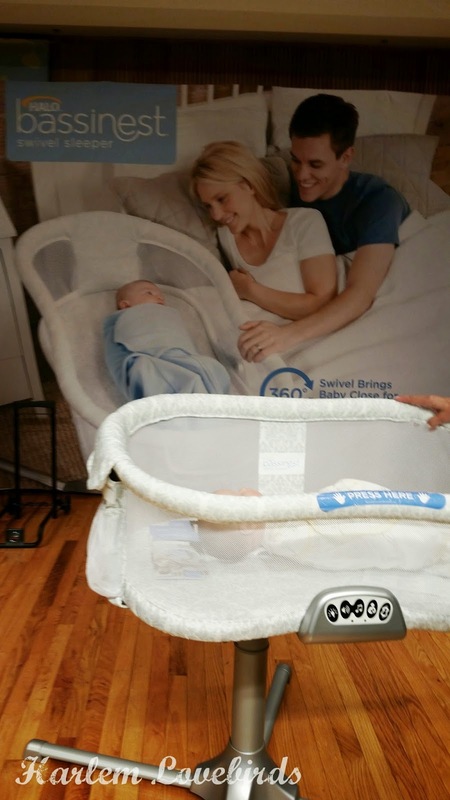 I've been seeing the Halo Bassinet Swivel Sleeper for some time now in my timeline, and it was cool to experience at last in person! Pardon my super-cropped image as I was trying to keep the rep out my shot, but if you take a look at the control panel that's what's awesome about it: it not only has built-in white noise (we swear by white noise in our household), but it also has a timer for nursing to help keep track of sessions. I kept track of Grayson's feeding sessions for his first month until I learned his patterns but this really would've been handy. The icing on the cake? The fact that the entire bassinet swivels out of the way so you don't have to do the awkward booty scoot to the end of the bed to exit. You can see the full video here. Pediped wasn't on my radar when I had Nia, but I've since seen them around on other babies and was interested in seeing their offerings for boys. Gray has a few Pediped hand-me-downs that I'm looking forward to him wearing and while they do have some cute offerings for boys, I think the girls' shoes are way cuter! What's so great about Pediped are their super soft bottoms are the closest babies can get to barefeet, which actually helps them learn to walk (and they're officially recommended by the American Podiatric Association). At 10 months Nia was an early walker so I'm curious to see what might happen with Gray especially if he starts rocking Pediped! I was surprised to see Stouffer's present but I soon realized it completely made sense! 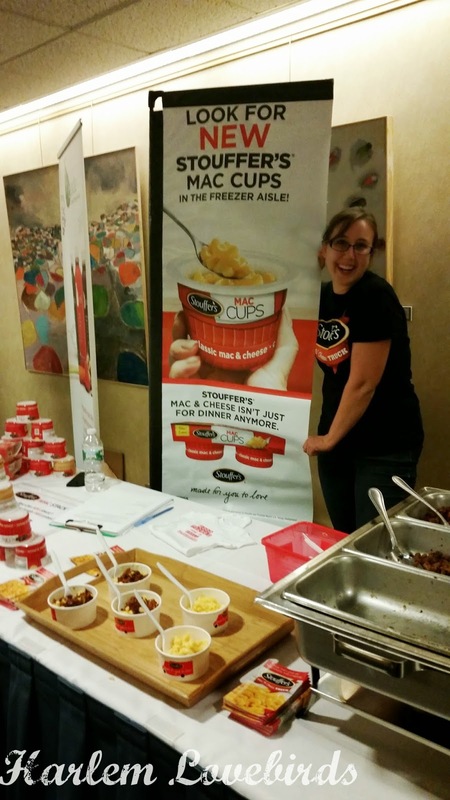 Growing up loving their mac & cheese, I was happy to see they had plenty of samples and as I hadn't eaten dinner it was a welcome snack. This is exactly how Stouffer's helps busy parents: offering them delicious, easy meals especially when time is of the essence. Their vegetable lasagna is another staple I love! Created by two moms (who have 8 kids between them! ), I was intrigued by NuRoo, a company that promotes skin-to-skin contact. Offering the NuRoo Pocket, Nursing Scarf and Swaddler, there are multiple ways their products can be worn allow for versatility and the ability to wear them beyond baby. The demos were fascinating and you can see them here on their website. I've seen Orbit Baby before, but hadn't yet experienced the G3 which keeps popping up in my social media timelines so I was thrilled to get a full demo. While we're up to our limit on strollers, if I had to get another stroller this might be it! The reason why? The fact that it can rotate a full 360 degrees. It's such a pain to get Gray in and out of the car twisting at times but if I could just swivel the car seat like Orbit Baby's allows it'd be so much easier. You can see it in action in this video. Cool, right? I didn't snap a pic as I as heading out the door and my hands were full, but I was thrilled to see Belkin Family Look Out Farm handing out bags of apples as guests exited. They were the perfect snack on the drive back to Portsmouth! 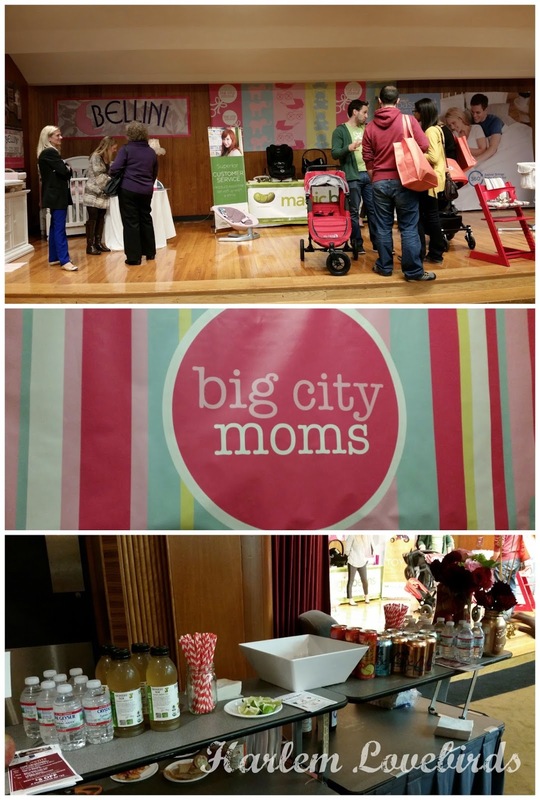 Whether you're a new mom or beyond the Biggest Baby Shower is a wonderful opportunity to catch up on the latest baby gear and a fun night out (there are tons of giveaways too!). 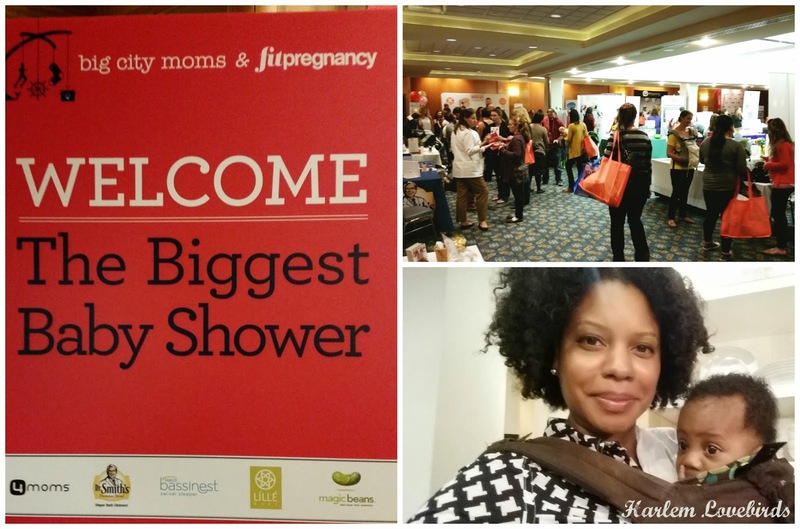 Have you ever attended a baby expo before? 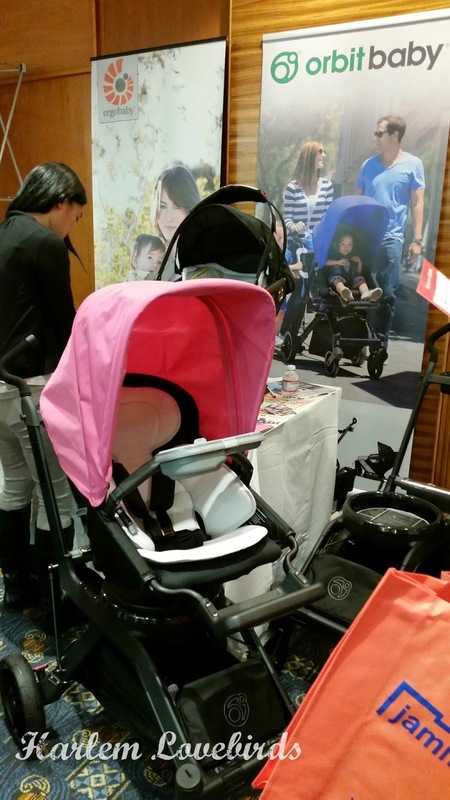 What types of baby products are on your radar? That Halo Bassinet Swivel Sleeper is pretty awesome IMO!